AB Beaker dyeing system AIR BOY type В«ABВ», Beaker dyeing apparatus AIR BOY type В«ABВ» has two completely separate dye vessels with 6 or 12 beakers each. The unit is heated and cooled by air circulation without the use of a liquid heating medium. 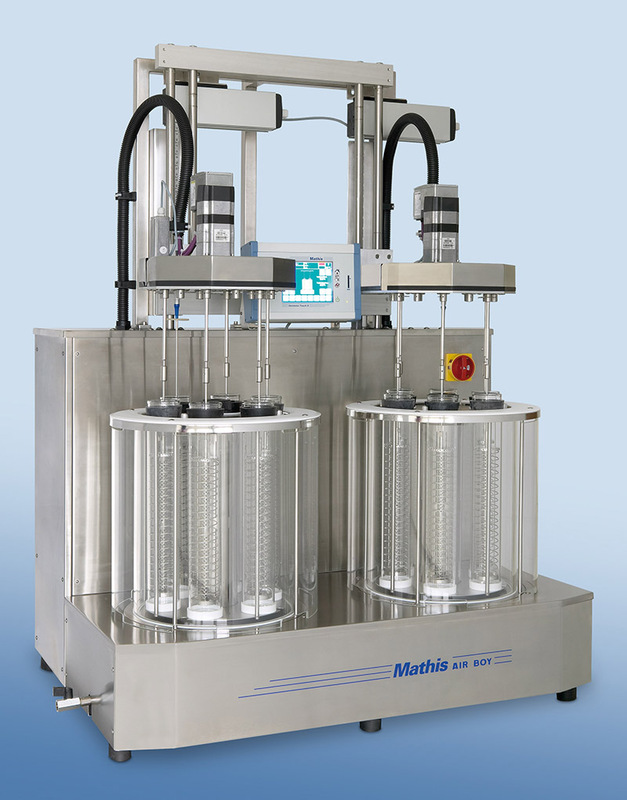 The, Mathis AG :: Worldwide competence in dyeing and coating; Plant and mechanical engineering in the dyeing and coating sectors for standard laboratory and production equipment and customized system solutions. Beaker dyeing apparatus AIR BOY type В«ABВ» has two completely separate dye vessels with 6 or 12 beakers each. The unit is heated and cooled by air circulation without the use of a liquid heating medium. The temperature is measured directly in the dye bath, in one beaker per dye vessel. Both dye vessels are controlled and monitored independently of each other by the same В«UNIVISIONВ» process controller.